Another gorgeous fire place is featured on the cover of Decorate, the new book from Holly Becker, from the gorgeous design blog Decor8. To celebrate hitting 100 followers on Miss Walker, (which I never thought would happen!) I am giving away a copy (and will post to anywhere). I will close the giveaway next Wednesday and announce the winner next Thursday. Thank you so much for your support, I love receiving all your gorgeous comments as well as discovering all of your lovely blogs! Eeeeek...exciting.. that book looks right up my alley...cant miss this opportunity! Very exciting! I'm now following too! Love the blog! I have been a follower for a while, lovely giveaway! Ooh, great looking book, count me in! How exciting! Congratulations on hitting 100 followers! Following...I have my fingers crossed...I have been eyeing this book for awhile now! I'm now following you -- what a great giveaway! Thank you for your sweet comments. Love your design inspiration and became a follower. I am a follower, love your blog. I am following, thanks for the amazing giveaway! I just started to follow you in Blogger. :-) Wanna win the book! Thanks! I am following your lovely blog. New follower! many thanks for the giveaway! Btw, pick me! Just came across your blog, it's beautiful, from one interior styling addict to another! I am your newest follower, and sure to be avid daily reader! 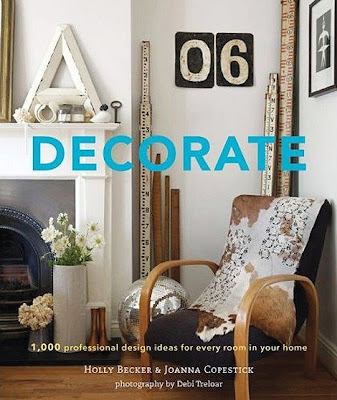 P.s - if I win the Decorate Book I will deffo have to feature your blog on mine! I'm a new follower, and am glad I have found you. Thanks for stopping by PrettyMyWorld Miss Walker! Now following your blog, and loving it! What a great giveaway! Love it! Congratulations!!! Love your blog and the fireplaces are fab! Would love to win and am now following your blog. Quite lovely by the way. Will have to go through your posts when I have some down time. Thanks for commenting on mine. Thanks for your comment on my blog! I love your aesthetic, and now that I'm a follower I look forward to reading more soon! I agree with the Monica's comment above: You had me at "giving away a copy of Decorate..."!! following. :) thanks for visiting my blog. you're is fabulous! Oh, I've been wanting this book! I hope I win. Thanks for taking a visit at my blog today. Congrats on your 100t followers. That's so exciting. Count me in. hey, thank you for the visit in my blog and this giveaway. I'm following you on google reader and you can see me among your "chic seekers"
I <3<3 your post on exposed brick wall design - nyc loft meets french farmhouse! A Toast to the Tolix!